Cyanogen Inc has released a new installer for Mac systems that takes out a few of the more daunting steps involved in 'flashing' its version of Android onto smartphones and tablets. Released in beta on Thursday, the installer app for Macs automates several steps that a user would normally have to do manually to flash a CyanogenMod to a device. For example, the user won't need to root their device or unlock its bootloader, and the installer obviously handles the flashing process. Backups on the other hand need to be done separately. Mac users that want to download the installer need to join beta group to access the software. 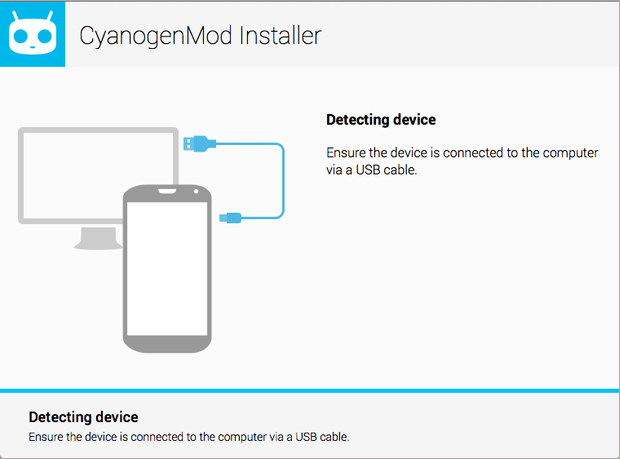 The installer only uses a stable build of CyanogenMod, meaning its KitKat-based CM-11 — which is still only available as a 'nightly' builds or the more stable ‘snapshot’ build — is off the menu for now. Still, as CyanogenMod's wiki pages note, its stable Android 4.3-based CM 10.2 supports dozens of devices, including Samsung's Galaxy S2, S3 andS 4, Galaxy Note 2 and the HTC One.